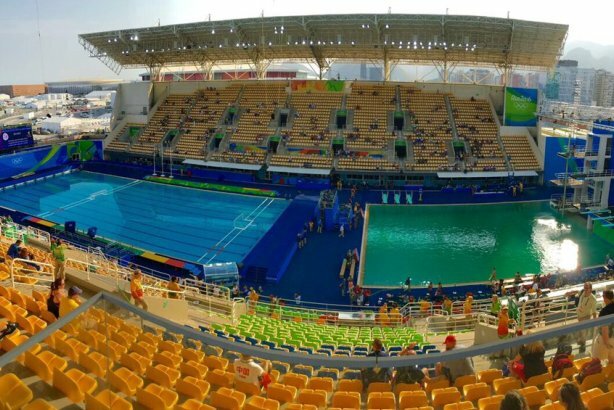 The Olympic diving pool turned bright green Tuesday and brands attempted to solve the mystery. The unexpected greening of two Olympic pools has worried some divers, but Clorox and other brands used the opportunity to get ahead of the pack with their timely Twitter response. Spotify, with its green-hued logo, denied its part in the mystery. Speedo shared a throwback to an old advertisement, showing a green monster climbing out of a pool. Booking.com suggested looking for hotels with swimming pools…that are hopefully not green. The color change of the two pools has been blamed on algae, alkalinity, chemicals, and urine. Experts and Olympic officials aren’t sure of the cause or whether it is safe to use.